Disclosure: I am an Etsy affiliate, and will get a small commission if you click on the links and make a purchase. After seeing all the cool kitty items at the cat show, I wanted to put together a really awesome kitty Christmas shopping guide! 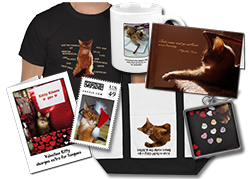 I wasn’t sure if I should put together gifts anyone could buy, or find more extravagant items for us kitties… so I wound up going to Etsy and picking a little bit of everything. I also picked sellers that will ship their items out to you in three days or less, because I know how important it is to get your gifts in a timely manner. Here are some great stocking stuffers, or if you are a blogger participating in Secret Paws, some awesome gift ideas for the kitty family you were given! 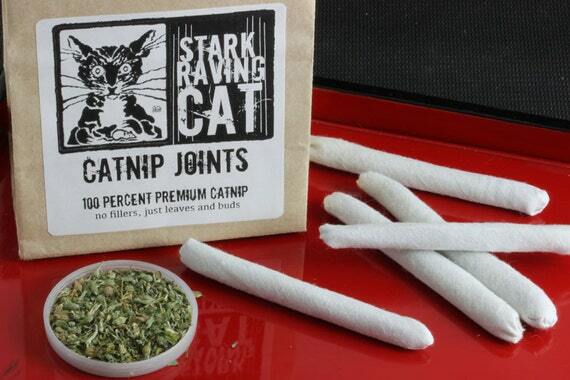 These hand-rolled catnip joints may be legal, but they are also very potent! There are no fillers, just leaves and buds — premium catnip encased in cotton, your choice of three or five joints. The seller, Stark Raving Cat, also can gift wrap them. These are exactly the type of toys that I love to play fetch with! They are around 2″ and hand cut and sewn! I don’t think they need catnip to be super-fun myself, but the folds are perfect for sprinkling in catnip, if you want an extra kick. 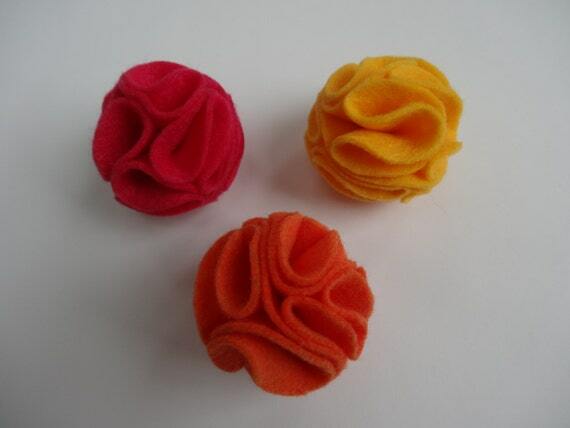 The seller, Love Lola Designs, has lots of other cool, inexpensive cat toys too. 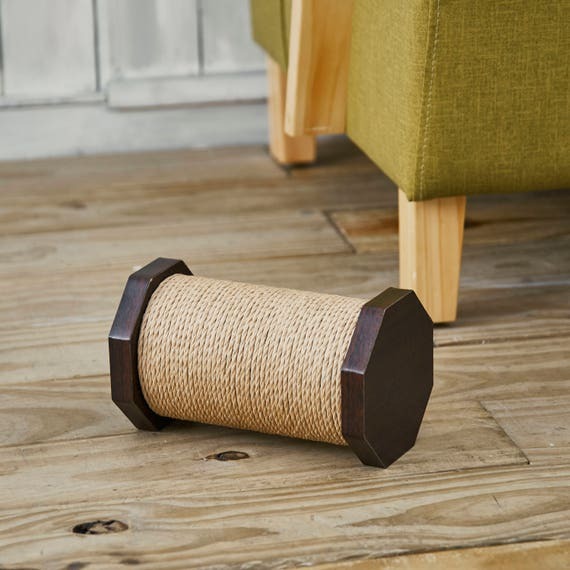 This scratcher is fun, eco-friendly, non-toxic and a great value! It’s 8.7″x5.1″, and packs a lot of scratching in a compact size. From Way Basics. If Santa came down the chimney and found these Christmas cookies and milk, he might never leave! Or at least that would be the case if he were a kitty. 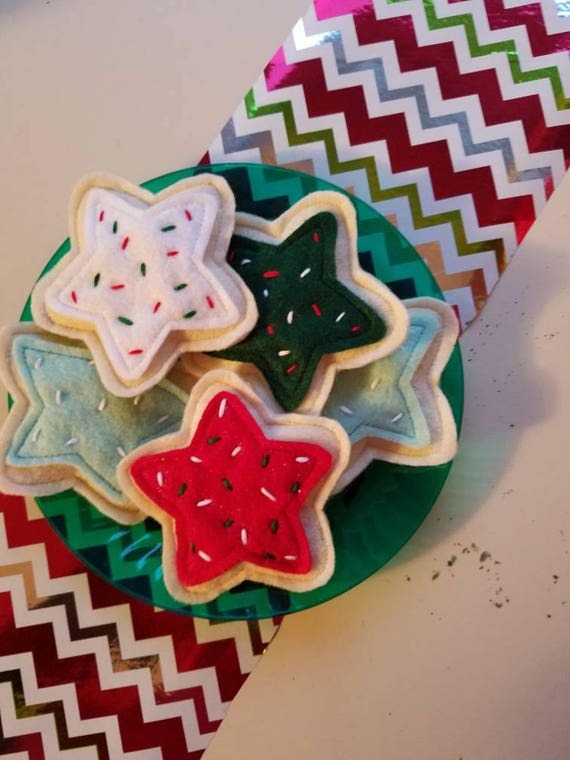 These cute, handmade cookies contain 100% USDA certified organic catnip and come from Cleveland Cat Company! 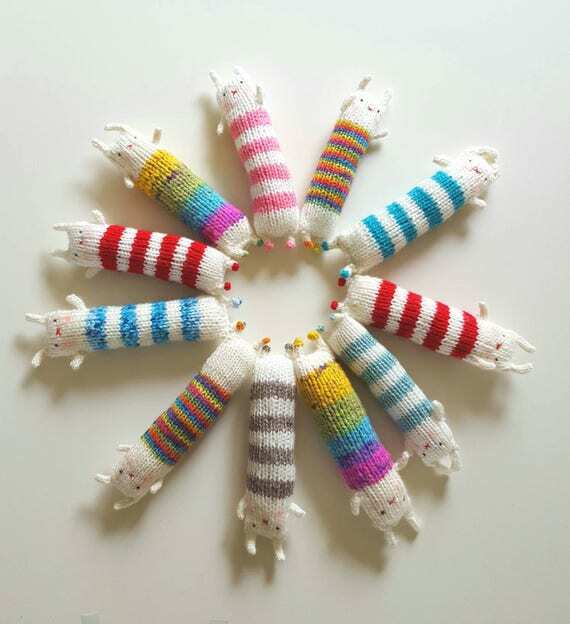 There are a lot of kitty kicker toys out there, but I wanted something a little different, and found these from Pom Pom Pet Toys. They are handmade and filled with organic catnip. 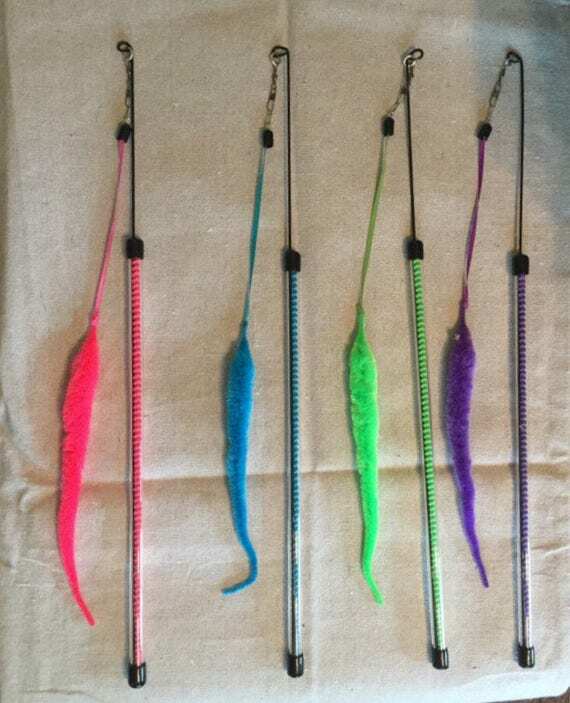 at 9″ long and 2″ wide, they are a good size, and will take a licking (and a kicking!). Even if you are not wealthy, you may still want to splurge a little on your cat! So I found these cool items that any cat would love. 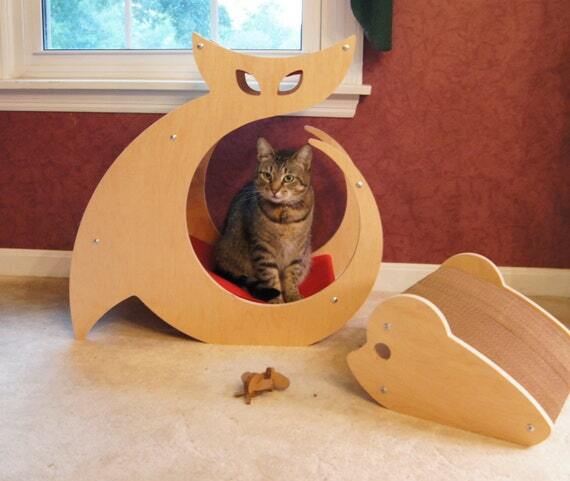 OTO Brooklyn House for Cats! 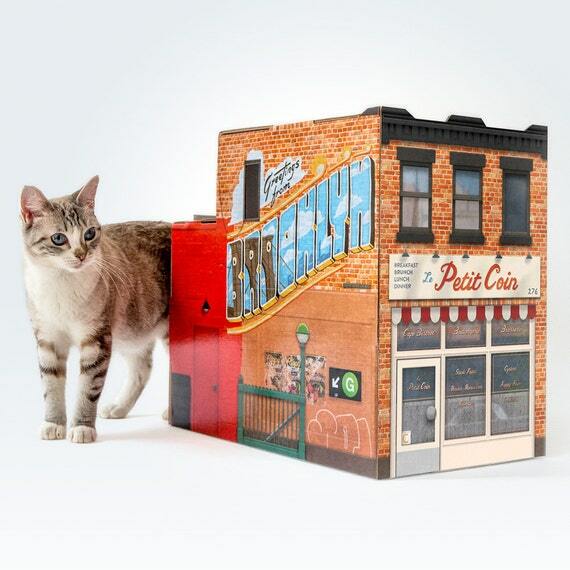 Send your cat on a visit to New York’s famous borough with this cardboard cat playhouse! There’s a French bistro in front, a truck repair garage in the back, plus the G-train. The sellers are Famous OTO who are from… guess! That’s right, NYC! 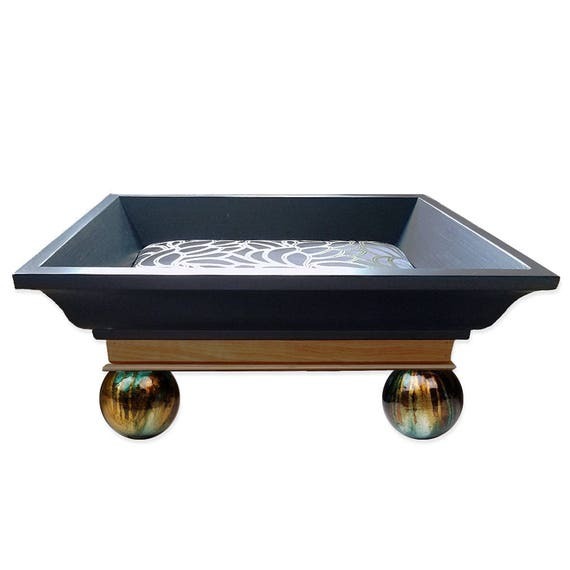 Let’s hop over to the other coast for this sleek and stylish scratcher from Petshop Garden. Made from dense cardboard, it’s also more durable than other cardboard scratchers, and is built to last. At 26.3″Lx9.5″Wx5.1″H, it’s a good size for most cats. 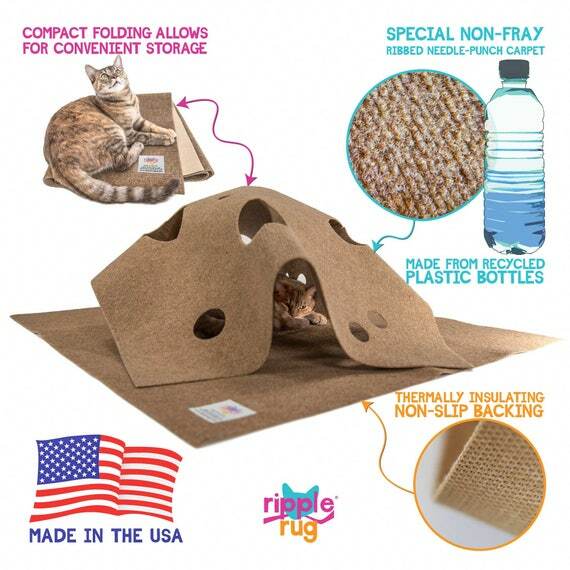 Here’s a unique interactive gift for the kitty who has everything. It’s scratchable! It’s got fun play holes! It’s a hiding spot! 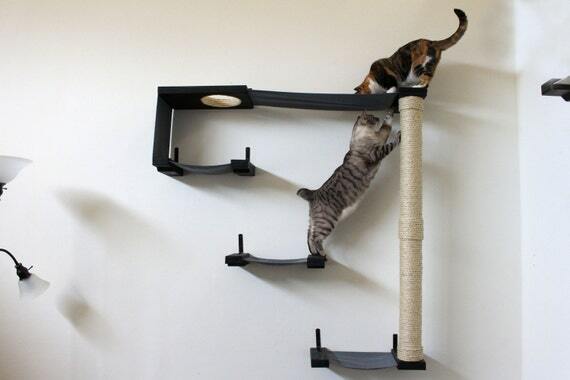 The top part can be reshaped any way your cat likes for an infinite number of kitty games. Even better, it’s made from recycled water bottles. From Snuggly Cat. 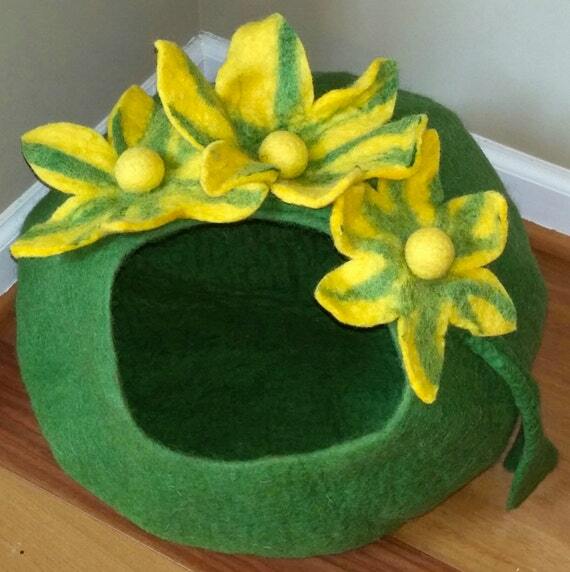 Your cat will think it is already spring with this pretty green and yellow cat cave. Made by Wool Dryer Balls, it is big enough to fit an 18-lb. cat, and is 100% wool — thicker and more durable than other cat caves. There are lots of other fun designs too. Do you have a multi-cat family? Give them each their own wand — you get a deal by buying four! They are expandable from 17″ to 27″, and you can switch out the teaser, so they will last a long time. My own personal favorite are these squiggly critters pictured. 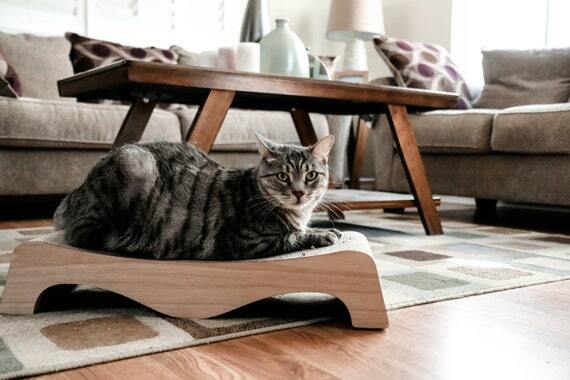 From Fur Cool Pet Beds (they also have awesome pet beds, of course). If you really want to give your cat something extra special, here are some presents any kitty will love finding under the Christmas tree. I’ve always been a fan of the Cattino products, and my human, who has met the Cattino humans, says they are very nice people. This hammock and scratcher combo is lightweight, yet sturdy, and the scratching boards are replaceable. You get a choice of birch or walnut wood, and a variety of hammock colors and patterns. This one takes a little longer to ship out, but I love them, so I had to include it. This combination of hammock, shelves and scratcher is an awesome wall playground! It’s pre-built with Onyx stain and Charcoal Gray fabric, and comes ready to mount (you will definitely need two strong humans to do this, so keep that in mind!). It’s size in total is 54″x54″ and is 11″ deep. The CatastrophiCreations humans make some really creative and amazing units, and it’s great that they have ready-made ones like the Sky Track, along with made-to-order items. This elegant and timeless bed will make any cat feel like royalty (well, if they don’t already feel like royalty, anyhow). This luxury cat bed is 18″x24″, with a cushion that is 12″x18″, with your choice of fabric. It’s made of hardwood moldings with metallic accents, and is just beautiful. From Aristocat Designs. Here’s another one from Aristocat Designs. 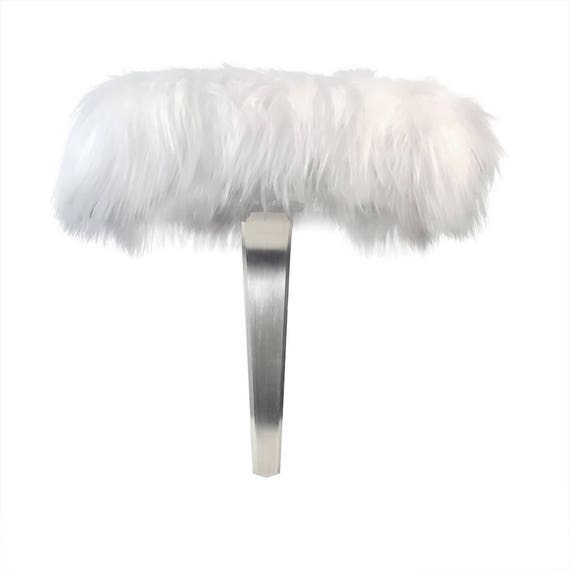 They had several cat perches, and they all looked amazing, but I thought this one, with its luxury faux fur, would appeal the most to the feline esthetic. Under the fur is a painted wood base, and you can see the brushed beveled metal. Everything about this perch says class and comfort. 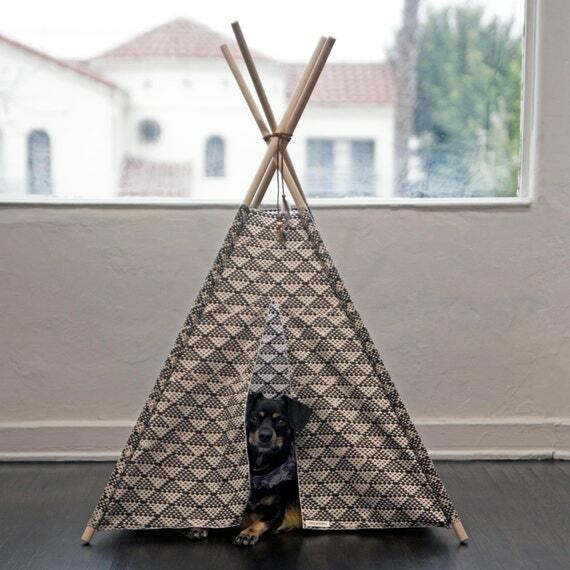 One of the reasons I included this fun teepee is because my human has a friend who got it for her cats — and they love it! It’s 100% handmade of high-quality cotton fabric and each teepee is unique. 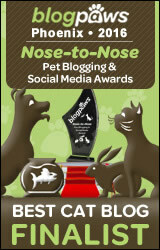 The seller, Sage N Bones, donates a portion of her sales to pet rescue too! I hope you liked my picks! Which one was your favorite? Love how many new designs are coming out. Hooray for Etsy designers! The ripple rug looks quite fun!! Mom Paula says we need to lower our champagne tastes! I actually like the cheaper toys best. Oh, and those wands look like great flossers. Those are some really nice items. Those are great finds. The cookies are too cute. I hope Santa Paws pays attention to my list I’m making. My momma LUVS da Cattino & Rattino Combo Scratching Set. Those are some great gifts. I am ordering several of your calendars, as Christmas gifts for family and friends! Everybody loves to look at pictures of Pretty Summer, the Pretty Cat!! Those are great ideas to suit all pockets. Summer, everything looks fun! The lady appreciates the $10 category. Your shopping guide has a lot of great ideas. You look beautiful in your Christmas outfit! ok, so we want everything on your list, Summer 😀 the felt blossom toys look like great fun! we have a Ripple Rug and call it the wrassle rug 😀 highly recommend it especially for anykitty that likes to burrow. 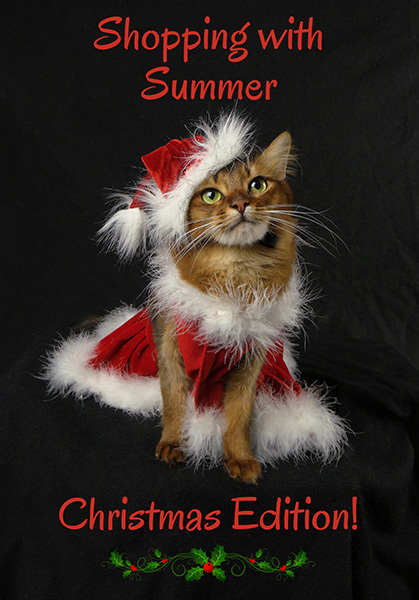 What great kitty gifts and Summer your Christmas outfit is superb and you look fabulous! Summer! I want it all!!! Mommy says she will have to work forever though if I get it all, so I must choose. And that is hard! Thanks for showing me all these wonderful things! Thank you for the shopping guide. Such pawsome gifts! OMC! Those are all awesome! We hope you got one of each one, Summer! We really like those kitty kickers! Great picture of you Summer. And super shopping list. We found something to give away. Oh my, there sure were lots I liked there!!! So much pawsome stuff. We can’t believe the amount of great items under $50 and especially under $10. Our human is super happy. We love the round scratcher and Brooklyn house! Thanks and you look pawsitively gorgeous. the catnip joints made me spit out my coffee. thankfully through my mouth and not my nose. Mudpie says she’ll take one of everything, please! She has a toy from Stark Raving Cat and loves it. OMC! We would want any of these toys! We’ll tell Santa Paws. Summer the first photo you is breathtakingly beautimous! !